One in seven people have lost track of their money sitting in savings accounts or pensions – with half blaming lost passwords, a survey suggests. An estimated seven million people had cash untouched in so-called dormant accounts, government-backed National Savings and Investments (NS&I) said. Some 52% of those asked who had lost track of their funds suggested it was the result of a forgotten password. But others said technology had helped them keep on top of their finances. NS&I asked more than 4,000 people whether they had lost track of financial products such as bank accounts, direct debits or signed agreements. The possibility of multiple providers – and numerous passwords – meant that many knew they had money somewhere but were unsure how to access it. Free services are available to help people trace their money, although the first enquiry should go to the bank or building society where they think the funds are held. Money held in banks, building societies, or NS&I can be located through the My Lost Account system. 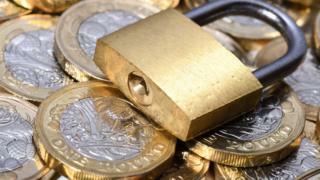 Pension savings can also be uncovered through the government-back Pension Tracing Service. At NS&I alone, there is a total of £2.8bn in assets, including Premium Bond prizes, that is unclaimed. Although misplaced codes and passwords were considered to be part of the problem, younger people particularly thought that digital paperwork helped them manage their money. Various providers are now using the Open Banking system to allow people to view all their bank accounts on one app.